No, the title is not related to a wedding, although I did eventually wear the altered dress to my sister’s marriage in 2009. I find it difficult to throw out after-five wear, particularly if it wasn’t an inexpensive purchase. 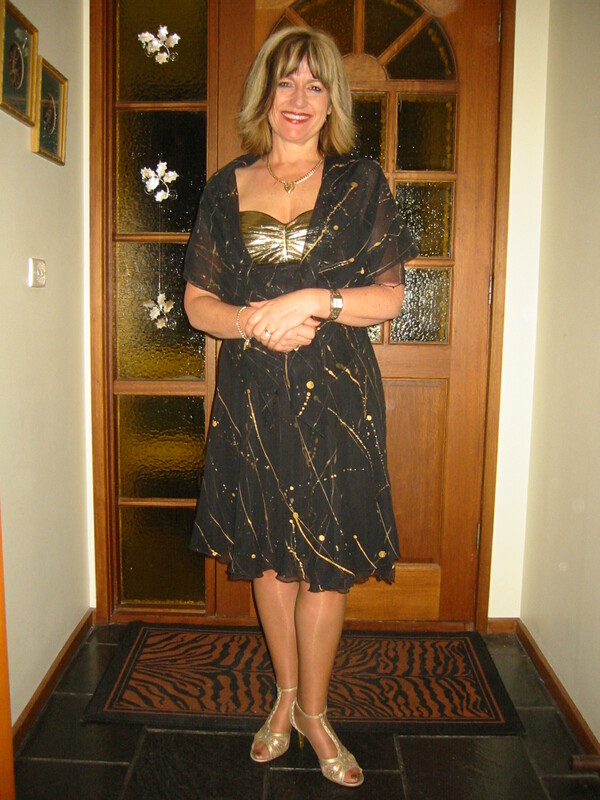 Take this Anthea Crawford black and gold dress for example. Purchased in 1991, on sale of course (you won’t find me buying a full-priced designer dress any time soon), the dropped waist didn’t carry through to the new century. I had previously moved it to the fancy dress cupboard, but at the end of 2008 I came up with an idea. I still couldn’t bear to throw it out, as both fabrics were, and still are, beautiful. My resourcefulness kicked in when I decided to alter it. 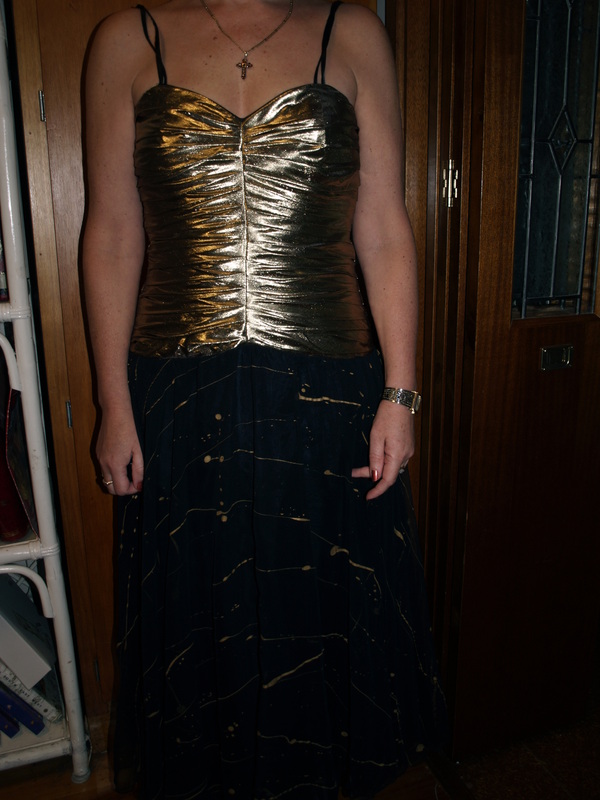 Since there was too much gold, I changed it to be a feature top with the skirt sitting just under the bust, and sewn carefully so that I could utilise the rolled hem it already had. The new design proved to be more figure-flattering also. Add the stole that it originally came with, in the black gold-swirled chiffon, gold shoes and accessories, and I was ready to go. All it took was some ingenuity, lateral thinking, some thread and time to create a new look.